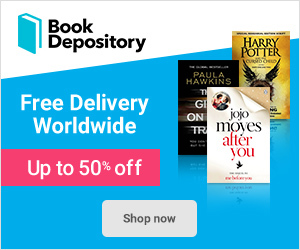 Goodbye, Perfect – Book Review! After reading A Quiet Kind of Thunder, I knew I wanted to read more from Sara Barnard. So for Goodbye, Perfect to come out, it made me super excited! I LOVED this book. Here is my review for Goodbye, Perfect! Now you are wild – what am I? Eden McKinley knows she can’t count on mu ch in this world, but she can depend on Bonnie, her solid, steady, straight – A best friend. So it’s a bit of a surprise when Bonnie runs away with the boyfriend Eden knows nothing about five days before the start of their GCSEs. Especially when the police arrive on her doorstep and Eden finds out that the boyfriend is actually their music teacher, Mr Cohn. Sword to secrecy and bound by loyalty, only Eden knows Bonnie’s location, and that’s the way it has to stay. There’s no way she’s betraying her best friend. Not even when she’s faced with police questioning, suspicious parents and her own growing doubts. After hearing about Goodbye, Perfect CONSTANTLY on social media, I knew that this needed to be investigated. I also knew that after reading A Quiet Kind of Thunder, this would surely be a great read. From the start, the story really pulled me in and I was incredibly excited to continue finding out more. The whole concept of “forbidden love” and drama over running away from home added an edge to all of the characters. Of course the story concept as a whole could be seen as wrong and the sheer notion of it did make me think so. However, Barnard brought about the scenario brilliantly. She made you feel every emotion that each and every single character felt. From despair to pure anger, you felt it so strongly. The story at its core is also about knowing what your friends are really like. In Goodbye, Perfect, Eden is made to realize that her best friends, Bonnie, may not be who she makes out to be. Bonnie becomes main news due to the unspeakable ordeal she has created. Not only has she ran away, but it is with who she ran away with, a person nearly half her age older. Even though Bonnie eventually tells Eden, Eden starts to face the problem of knowing. It’s not good. Eden showcases traits that I found both heartwarming and frustrating. Heartwarming because she would never break a promise to her best friend. Frustrating because the stress that she goes through for practically the whole book makes me sad. She just wanted to know why. She then starts to question who her best friend really is. Overall, the drama of the story kept my interest and I quite enjoyed how the story ends. Moral of Goodbye, Perfect – you will never truly know who a person really is. 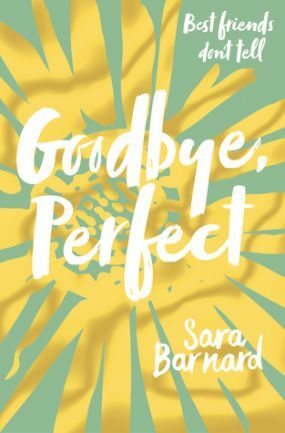 Goodbye, Perfect by Sara Barnard gets a big ol’ 5 out of 5 flails. An absolutely fantastic read! Author Bexy, thank you for this post. Its very inspiring. Next Next post: Graffiti Moon – Book Review!